This Vango Comfort Self Inflating Grande Mat provides a luxurious nights sleep with a 10cm layer of insulating foam providing warmth and comfort when camping. The 10cm Grande mat is not only he thickest of the comfort range but is also extra wide; perfect for restless sleepers who need some additional space. The Comfort mats do not require a pump for inflation and simply self-inflate by opening the efficient Cyclone Flip Valves. For a firmer mattress a few additional breaths can simply be added before securely locking the valve. 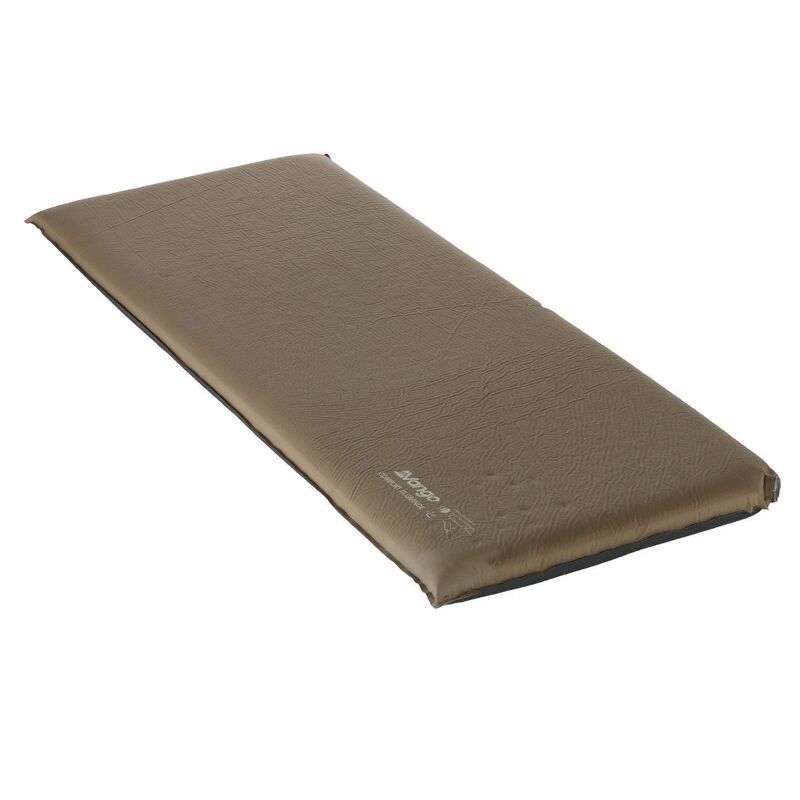 The soft brushed polyester top surface helps to stop sleeping bags sliding around with a non-slip base to keep the mat in place on your tents inner floor. The large valve openings make the Comfort easy to pack away and comes with an oversized carry bag with soft brushed fabric which can also be used to double as pillow.